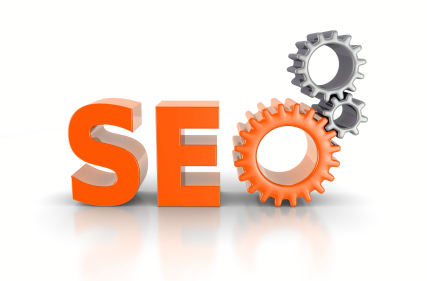 One key topic discussed at social media conferences is SEO, search and influence. At the recent BlogHer Pro conference in San Francisco, the lunchtime keynote subject was Growing Your Audience and Influence with Social + Search with speakers Duane Forrester of Bing, Elise Bauer of Simply Recipes and Elisa Camahort of BlogHer. While Elise Bauer explained that she focusses on good content rather than over analyzing if her posts are SEO friendly, she also revealed that over 80% of her traffic comes from search engines. Many conversations about the content on her SimplyRecipes.com site, including recipe questions, happen on social networks such as Facebook. Duane Forrester predicted that in the future, social will be the most important part of search. He also mentioned that each social network platform has value in sharing content and conversations, but you need to determine which platform provides the best value for your brand. Elisa Camahort added, “Twitter is good for brand awareness, Facebook is good for influence because it consists of your friends.” Everyone also discussed how Pinterest can generate lots of traffic because it is a visual platform that benefits posting content with pictures. I have personally witnessed the power of social when it comes to sharing content. I use multiple social media platforms including Twitter to share my blogging content and when that content is “retweeted” it magnifies my reach. I also find more and more content on the web via the social streams of my friends. This confirms what Forrester said, that social is becoming the most important part of search on the web. Forrester also mentioned the new Bing Social Sidebar. I also had the opportunity to talk with Kari Dilloo from Bing (who also presented on the BlogHer Pro panel “Growing Your Reputation: Working with PR and Media Professionals as Part of the New PR Food Chain“) about Bing Social. She explained that Bing Social Search has the advantage of pulling information from across social networks (including Facebook, Twitter, LinkedIn, Klout and Quora) when doing a search. Dilloo explained that Bing is looking at reinventing search and seeing where search is going to make it easy for people to find info they are looking for. 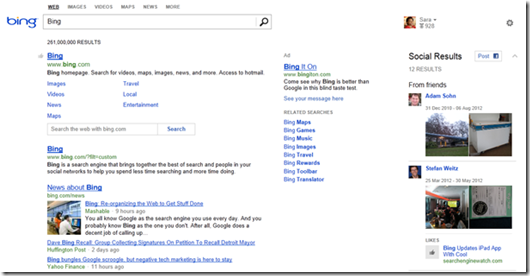 When doing a search on Bing, the left hand side is the web search. In the middle is a snapshot view that includes visual maps, pictures and even links to sites such as Wikipedia. The far right hand side displays a social search column with results from friends and other social networks that recently discussed the topic being queried. For example, a search for a Mexican restaurant will result in a listing on the left hand side bar of local restaurants with links to menus and phone numbers. These businesses will also be identified on the map in the middle column. The far right hand side bar displays a list of restaurants being discussed by those in the searcher’s various social networks. This allows a true social experience when performing a search on Bing, including who blogged or tweeted about the topic. The cross platform result provides new opportunities for those creating social media content on particular subjects to have their content discovered in searches by others interested in the same topic. When I searched on Bing for “gadget gifts”, I saw that my friend Jennifer Comet Wagner shared a post from her blog titled “Tech Gadget Gifts for Teens and Tweens“. Because I trust her opinion, I was more influenced by her post then by the general web search posts. I review technology so my kids are used to seeing all the gadgets I have tested. For their holiday gifts, I needed a fresh perspective. On Jennifer’s post that I found from Bing, I discovered two fun tween/teen gift items I had not heard of and were perfect for my son: an ePillow for when he reads eBooks on his tablet and OWI Robotic Arm Edge for some Robotics fun. As a blogger, I realize now more then ever that social is an important part of how my posts will be found. But more then that, as Kari Dilloo shared in the “How to Build Your Reputation” panel, research is very important part of building the right reputation. She explained “My advice is to do your research and make every conversation count. Whether it’s small talk at conferences or over twitter, etc, seek out the people and/or companies you admire and be armed with ideas that could spark a mutual brainstorm.” Social search can also benefit this type of research not only to find what is on the web, but also what your friends and social networks have to say on the topic. Are you more influenced by what your friends share on social networks or from search engine results? Well, I just clicked your two links above about the ePillow and the Robotics Arm and plan to check them out for possible gifts for my nieces and nephews, so I guess that answers the question, eh? I think the evolution of search is fascinating to follow – and I do think social is the future, and that search results will become more and more customized to the individual user.